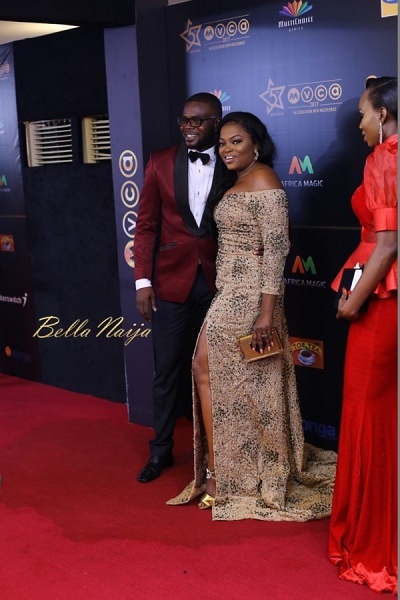 Hello boys and girls, the AMVCAs was held just last weekend and your boy has been busy reviewing photos from the event, trying to see what I missed from watching the show. So I have compiled the SLAY, NO WAY and the JUST PASS. Feel free to disagree with me please, and yes, sound off in the comments section. 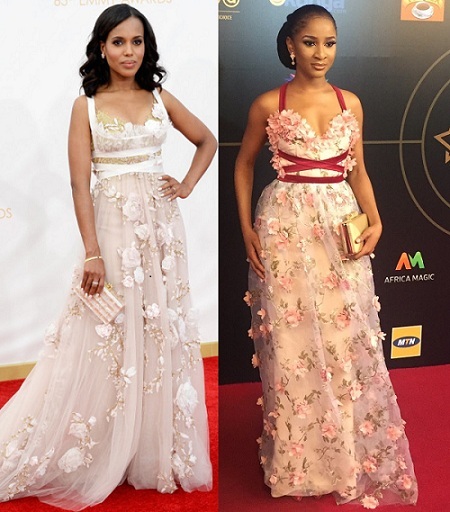 ADESUWA ETOMI Everyone’s favorite girl from the smash hit The Wedding Party rocked a look that was copied from – sorry, inspired by something Kerry Washington wore a while back. And it suits her. 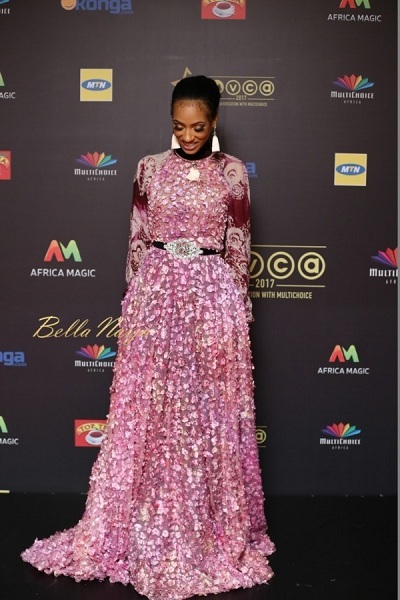 There is something demure about Adesuwa that makes me think of flowers and gardens, and I think this dress sat well on her frame. 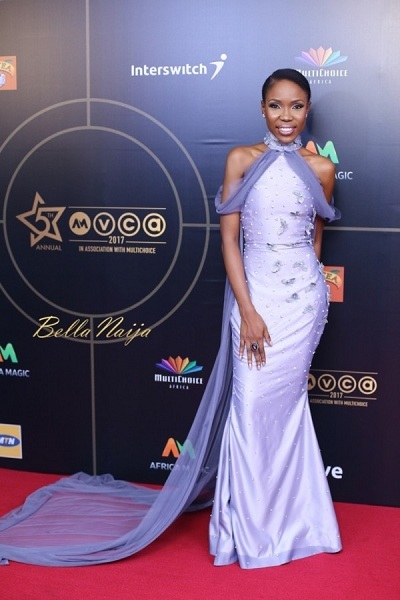 I wasn’t particularly wowed by the look, as I would have expected more from her, seeing as she is trending at the moment, fresh off the set of one of the most successful Nigerian movies, but all round, not a bad look. 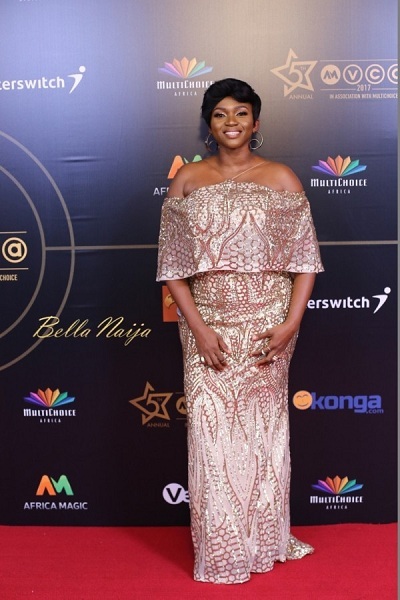 YVONNE EKWERE She looks like the girl your mother warned your daddy about and the same one who eventually took her place lol. I’m loving the all-black everything. This girl is on fire. 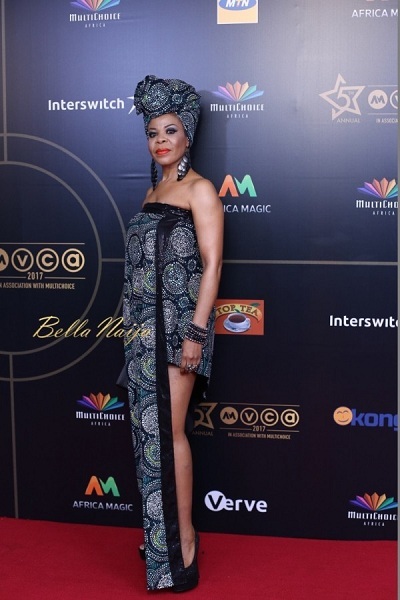 MO ABUDU This right here is a woman confident in her body and knows how to dress age appropriately. See how fabulous she looks? That smirk on her face is everything, it’s almost like she is saying darling, you can’t be me. 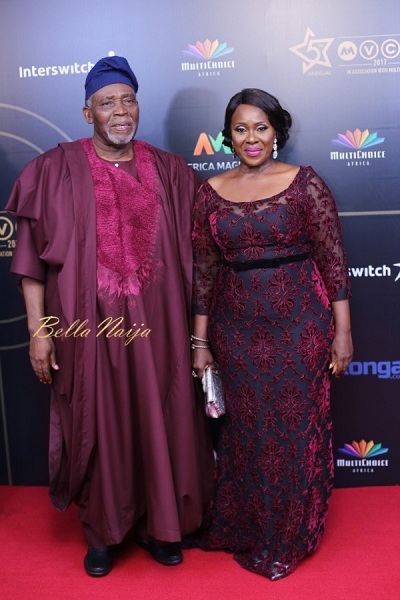 OLU JACOBS AND JOKE SYLVA See ba, mummy and daddy can do no wrong ever!!! 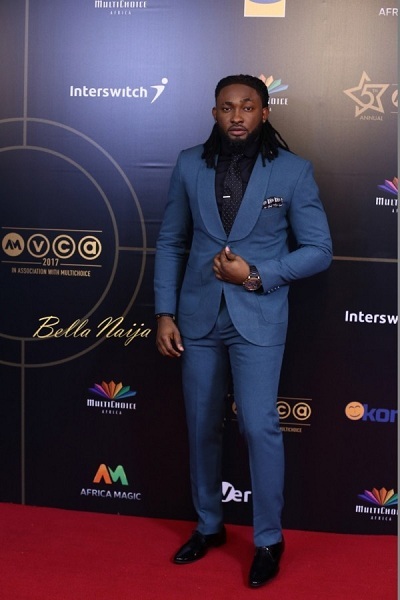 UTI NWACHUKWU Red carpet tenant! The first look is underwhelming, but the second one is fresh, vibrant and totally works for me. 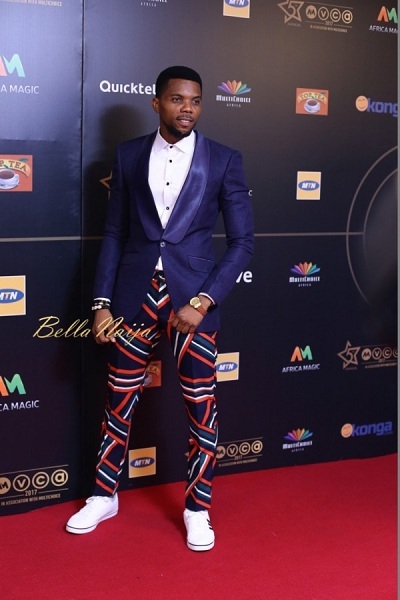 SAMBISA NZERIBE Something about this look makes me very happy please. I like people who approach fashion as fun and don’t take it too seriously. This look just worked for me! Meanwhile, is he on Instagram? I am asking for a friend. 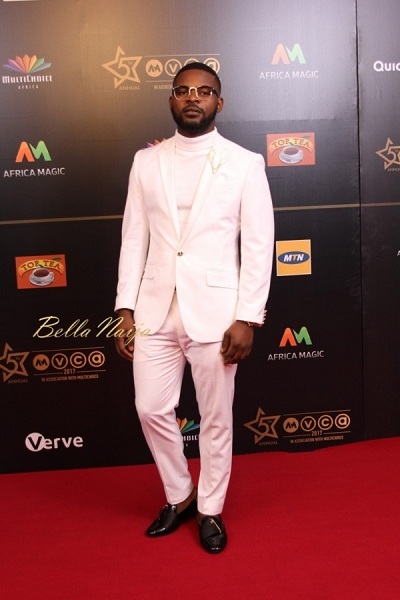 FALZ He looks like an angel, like he can break my heart and I’d still thank him. 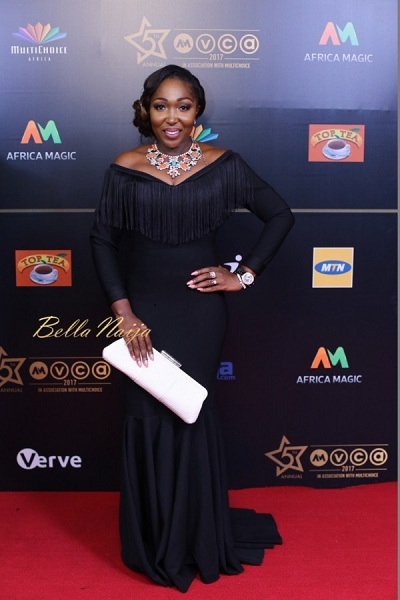 RITA DOMINIC This was one of the most contentious looks at the award. I kept looking at this dress, and I should have liked it but for some reason, I couldn’t get myself to. Something was just off about it. I later realized that this dress was inspired by Naomi Campbell’s look at the Golden Globes; the cut is similar, color is almost similar, as well as the structure. And then I realized what the issue is. Naomi is a tall girl. 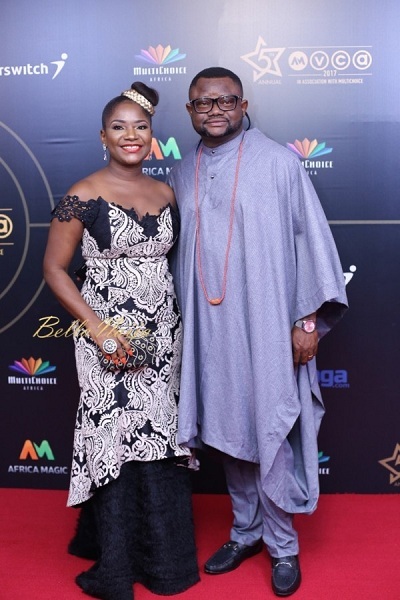 Rita is not tall, so she does not have the elongated frame to pull off this look. Also Naomi is very dark, while Rita is light-skinned, so the color washes her out. Plus Rita’s fabric comes across as cheap. This is a clear case of: Can you sew it? Yes ma, I can sew it very well. Rita typically gets her fashion right, but this time, she fell flat on her face. BEVERLY NAYA I love this girl. She always has this I’m-innocent-and-cannot-hurt-a-fly look about her, and she often brings her A game. This dress was not a bad look; I just don’t think it was properly fitted, especially around the bust area. 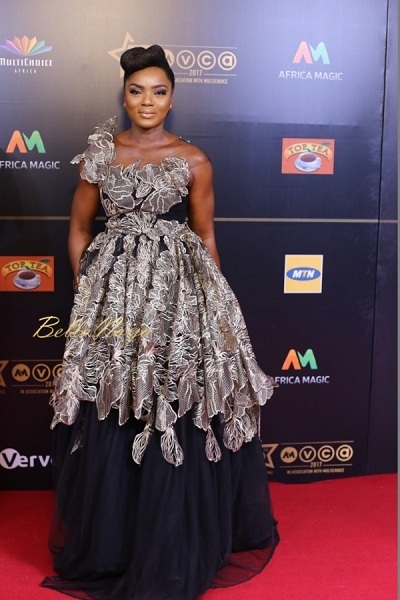 Just look at that area up to the neck and you will see that there is excess fabric which is almost bunched up. Other than that, not a bad look. She should smile more, she is gorgeous. 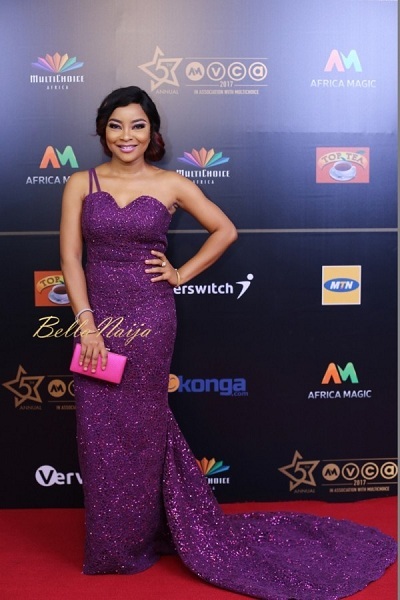 LINDA EJIOFOR The color of this dress is vibrant and it suits her, but again, the fit is not perfect. 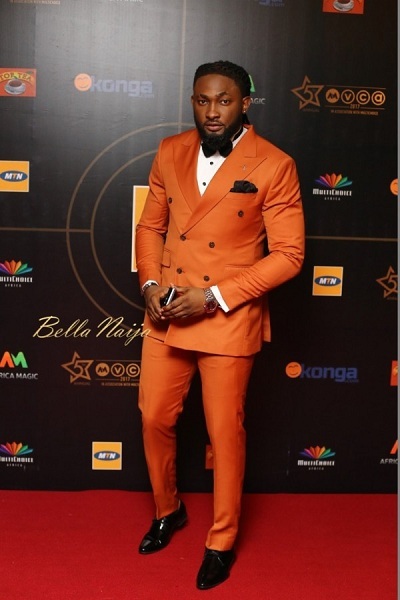 Tailoring is a serious issue in the Nigerian fashion industry. This dress would work better if it hugged her fabulous body. SUSAN PETERS She looks like a prostitute from the Victorian era, covered up and exposed at the same time. Way too much is going on with this look; the dress is already over-embellished in all the wrong places, and she still piled on fake diamonds? As for her gloves, maybe she is baking the cakes for the after-party, because I can’t for the life of me figure out why she has those on. 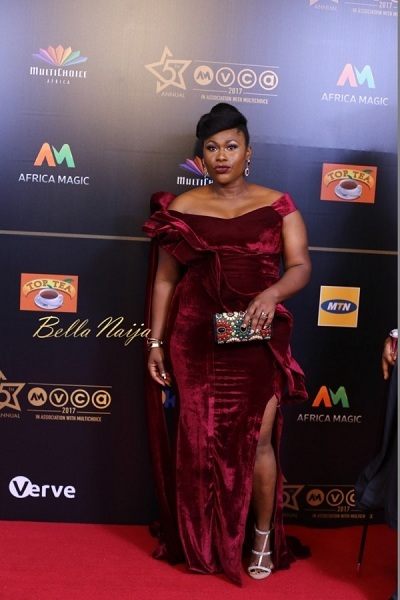 CHIGUL Aunty Chigul was going to CWO meeting, but decided to drop in at the AMVCAs first. Ndi nne mama!!! See eh, the problem is not her size; it’s just that she doesn’t know how to dress for her body. Boat cuts and fat necks do not mix please. She should have worn a one-shoulder, A-line cut in a fabulous color with some statement necklace. 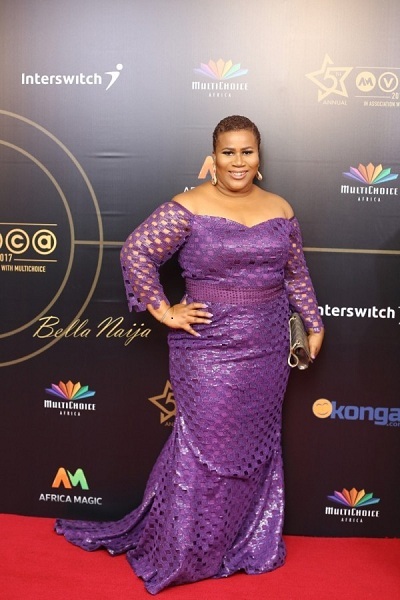 But no, she decided to look like CWO’s mother general. TONI TONES The upper part of this dress is fantastic; the cut of the bodice, her hair and accessories are all great, but the lower part is a bit confusing. The detailing is not symmetrical. And did the fabric finish, so they had to use another fabric in a different shade of purple? And how is it that we can see where the dress is joined please? Why can’t these women understand that they are stars and put in the extra effort? 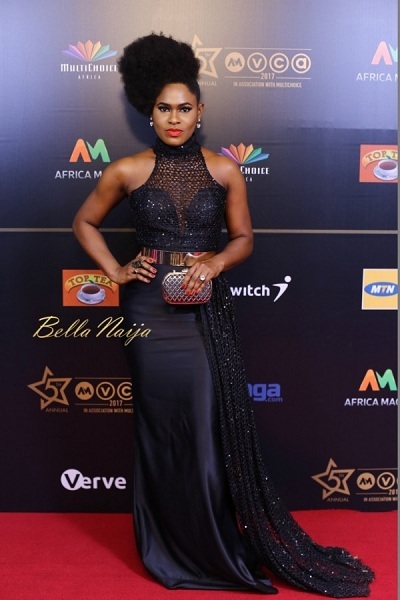 IYABO OJO This is a fabulous dress; sadly it is not for a woman of her age. 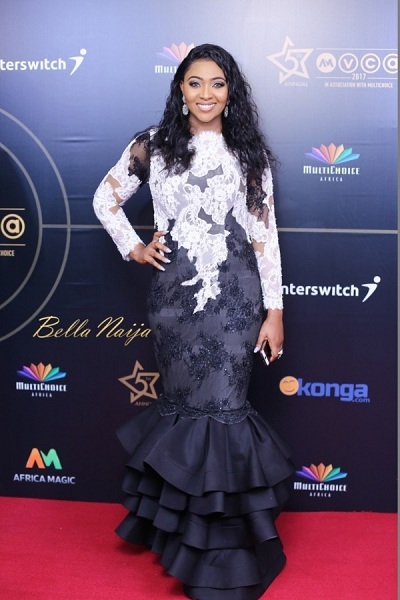 I will put Grace Egbagbe or even Florence Ita-Giwa in this dress; it ages Iyabo by at least 15 years. Sorry ma, kole werk. 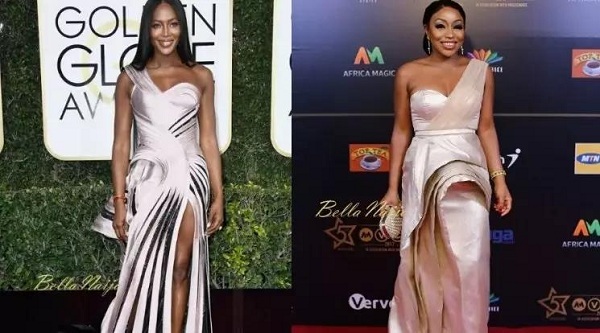 LILIAN ESORO This has to be her mother’s dress because I cannot figure out why she would wear this dress without having it altered to fit her body… Unless of course she borrowed it from a boutique to return later and they told her she’d be dead if she alters it. ZIZI CARDOW Well she was making dresses for the guests, so she didn’t have time to finish hers, and as a sharp babe that she is, she wrapped it around herself, used scissors and cut out the back and entered motor. Fa ncha bu style, nne. Nothing do you. 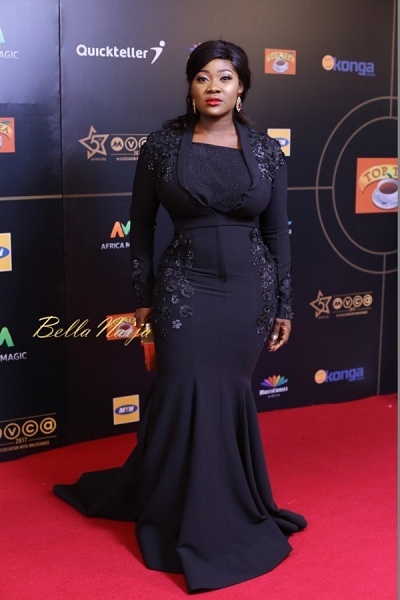 MERCY JOHNSON See, let me cut her some slack. She probably came straight from a Service of Songs for a dead relative, which will explain this look. All these young girls wearing dresses that add years to their ages sef! 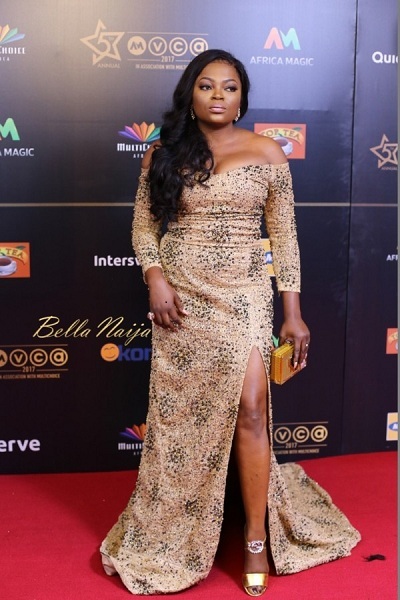 See how she looks like a fabulous woman in her 50s. This does not work! SEUN AJAYI Another akwa oche someborry! Everything about him screams cheap. STAN NZE Yes I have a crush on this fella and we follow each other on Instagram. I have drooled over his photos in the past but I have also seen him look better than this. A for effort anyway. 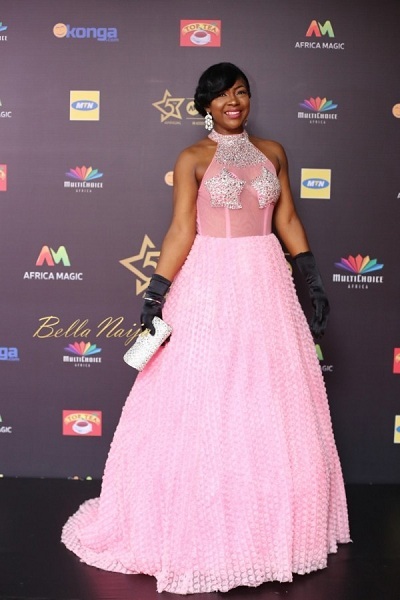 KEMI LALA AKINDOJU Three words: cheap, cheap, cheap! Yes, have I said cheap? And yes, add ‘tacky’ to it. She sure can serve as a scarecrow for a farm, so it’s not all that bad. 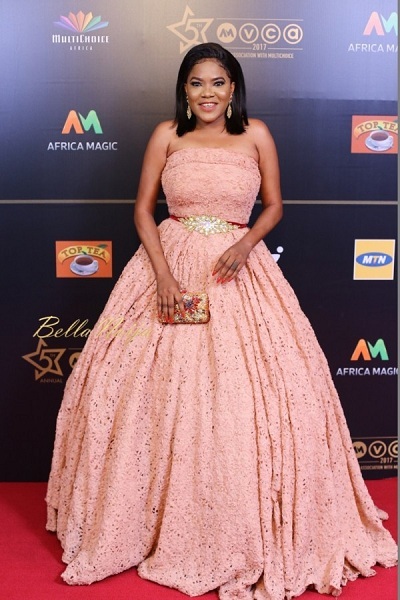 TOYIN ABRAHAM Let us pretend that this dress is her size and pretend like we don’t know she tried to use a belt to hide the fact that it is not her size. Did they pour water on her hair? And really, I have another three words for you, ma: Push-up bra, especially when Olympus has fallen. DI’JA When you are a nun but you still want to turn up! 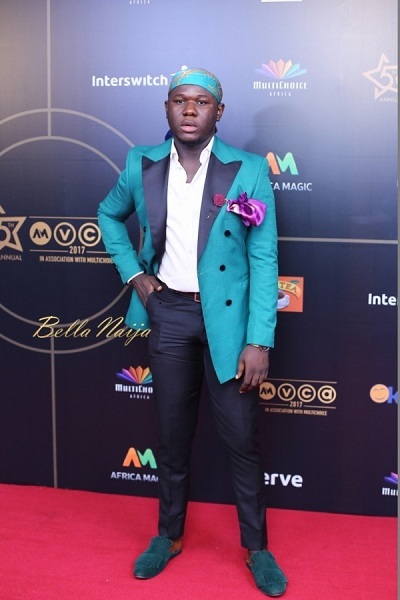 LANCELOT IMASUEN Was this supposed to be an agbada? 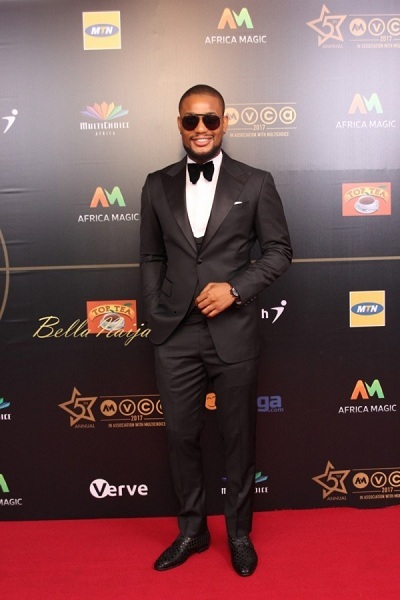 He looks like a masquerade please, like I am sure I will pick race if I saw him coming towards me. 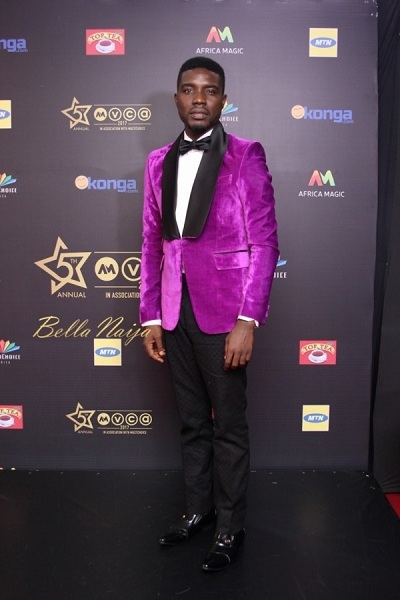 RICHARD AKUSON This guy is supposedly a stylist o! 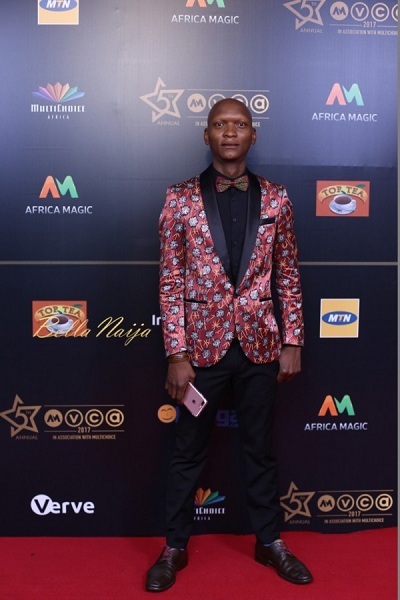 In his mind now, he has killed and destroyed them on the red carpet, not knowing that he looks like an offering to be presented to Yemoja. NANCY ISIME When you order Wonder Woman from Jumia. 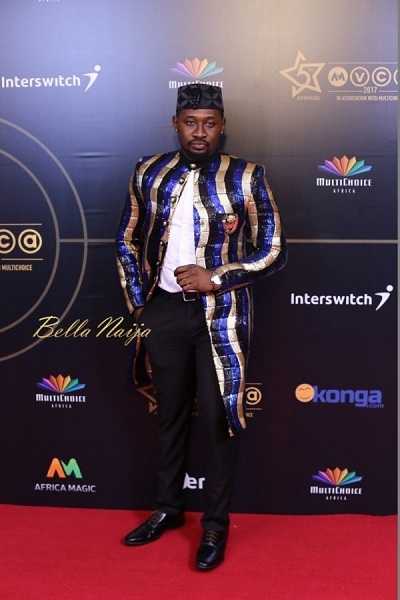 NUHU ABDULLAHI He was probably searching for Buhari, then suddenly remembered the AMVCAs, took a break from his search, and decided to drop in. 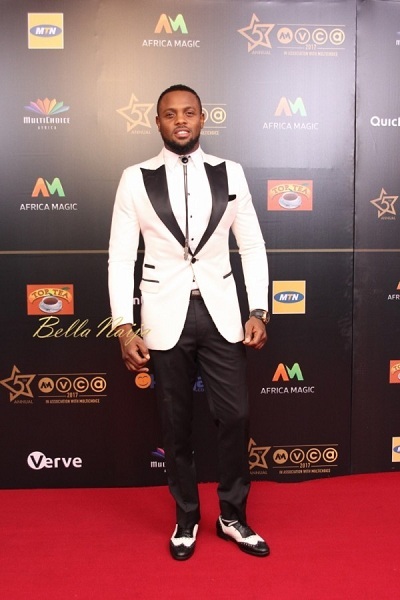 MELVIN ODUAH He looks like KCee, wearing everything he can find. Sorry darling, but less is more. 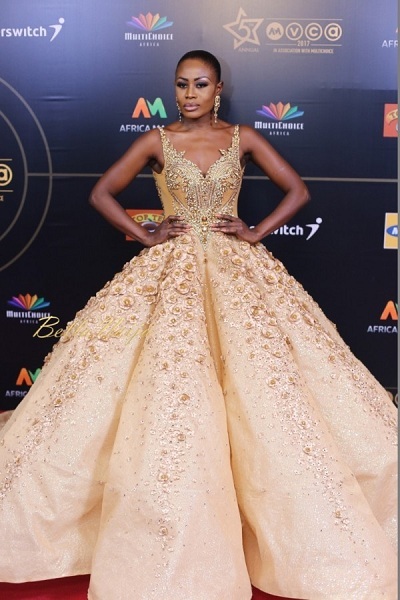 Now this was really hard to decide, but my Best Dressed female is Somkele Idhalama. That dress is very modern yet very elegant. 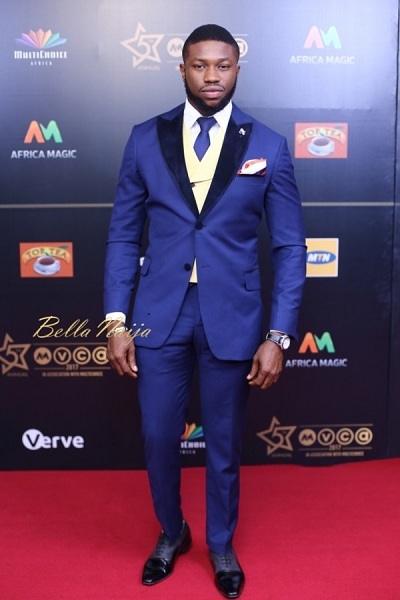 My Best Dressed male is Richard Mofe-Damijo. 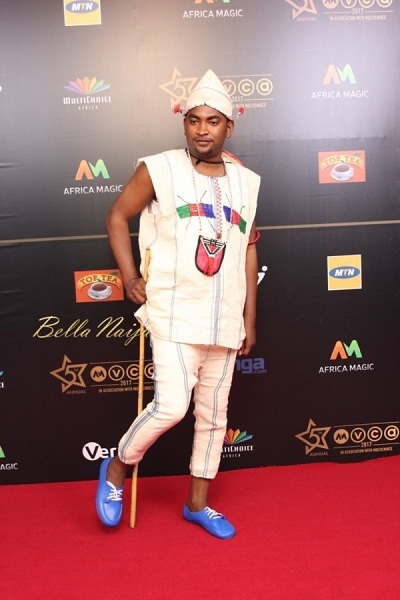 I love people who play with fashion and he nailed the look. 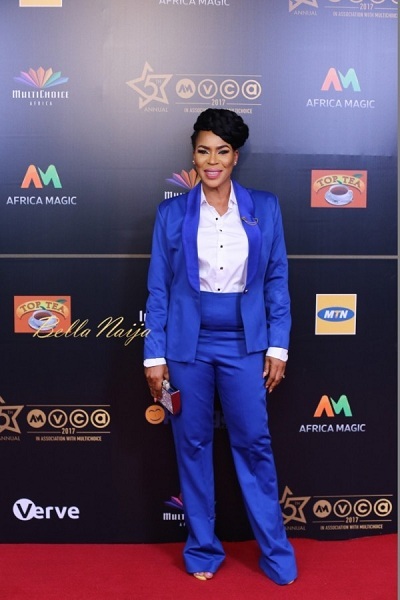 My Worst Dressed female had quite a few contenders, but I think Fathia Balogun was depressing enough to look at to win the slot. 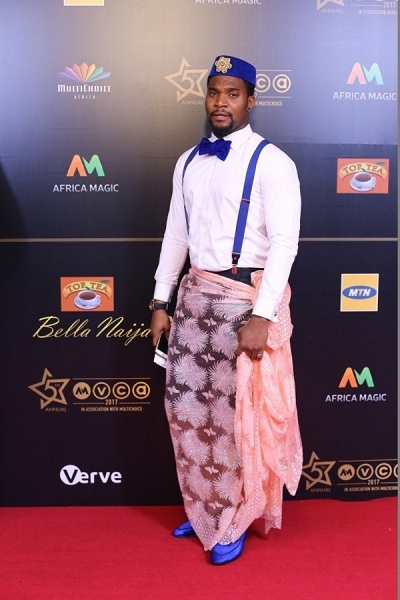 And my Worst Dressed male, Kunle Remi deserves that title hands down. Kunle Remind, kindly return somebody’s praying scarf. Nuhu abdullahi, hope you parked the cattle well, seeing as you brought their cane. This is a human only event. Naomi’s look wasn’t inspired by the an archway in a cathedral plus she had constant power supply. Avatar is just fiction. Nobody is doing blood bending on you. Try to smile more. It would take the attention of your curtains. And I’m still very upset with Rita’s stylist for the night. That person no just try. Her dress last year worked better for her. Zainab. She just needs a gele to finish off that look of hers especially seeing as she missed the wedding she was doing asoebi in. Waje. Chai. Why???? I would have preferred the outfit she wore for her performance with Lira. That was way better than this abeg.